Thrifty and Frugal Living: Free Sample of Chocolate Dipped Fruit Today Only!! Free Sample of Chocolate Dipped Fruit Today Only!! 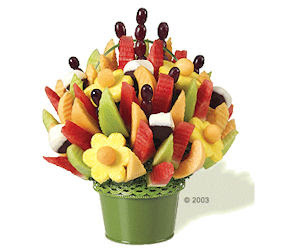 If you stop by your local Edible Arrangements today (03/14/10) you can get a free sample of chocolate dipped fruit. Yummy! Go here to find a store near you.